Start both 7 min & 4 min hour glass at the same time. Once the 4 min hour glass is completed, then reverse it. Now 7 hour glass is at 4 min and 3 min is remaining ion that. when 7 hour glass completes then reverse it. 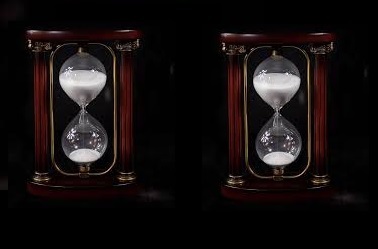 The reversed 4 hour glass still has 1 min to complete. After you reverse 7 hour glass wait unitl the 4 hour glass to be completed thereby your total is 9 min.